Looking for Halloween Party food ideas? Place hugs on pretzels and melt in the oven at 250 for 2 or 3 minutes. Then remove and smash a candy corn onto it. 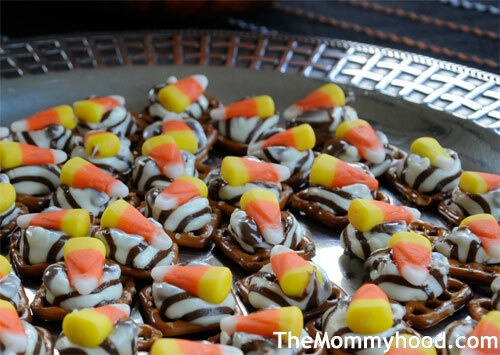 Looking for other Halloween fun foods? Check out my friend Kristen’s Halloween Graveyard Cake recipe.